Posted on Apr 24 2013 - 9:25am by Lisa C.
A team of Scientists from Cornell University, led by Dr. Lawrence J. Bonasser are working to replace bad spinal discs with a 3D Printer. Sounds like the future is almost here, in fact Dr. Bonasser has already successfully completed this process on over 100 rats. This is big news considering over 30 million Americans currently suffer from Degenerative Disc Disease. Read on for more details. Dr. Bonasser has already used 3D printing to make almost perfect prosthetic human ears. With that said, the 3D printed spinal discs are much more complicated. He can create brand new spinal discs from scratch if the original disc is beyond repair. 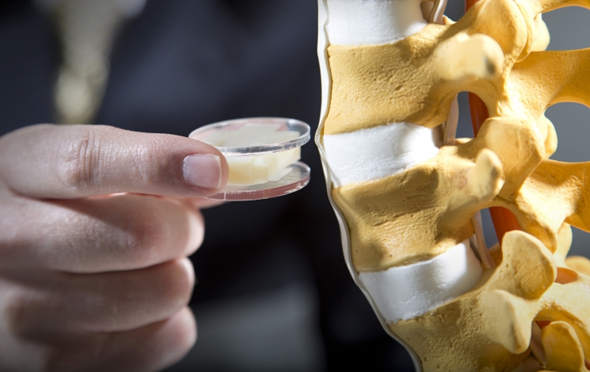 If the current disc is in good enough shape then Dr. Bonasser can print stem cell strings directly on to the patient's spinal disc. 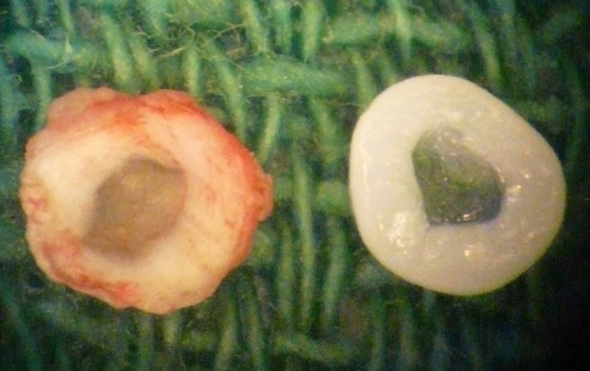 In a few weeks time the printed stem cells enact their "biological programming" and and heal the spinal disc. Either way, a much better solution than fusing a patients spine which is one of our current medical solutions.